Her early books, Peaceweaver, The Forest Dwellers and The Song of Heledd concentrated on the Anglo- Saxon/ medieval period, but in 2010, she published a short pamphlet of ‘Tudor’ stories entitled, Dear Henry: Confessions of the Queens. Many loved the effort, and she received endless requests for full length ‘Tudor’ novels. For a while Judith buried herself once more in study, refreshing her already extensive knowledge of the period. The result was The Winchester Goose, the story of a prostitute from Southwark called Joanie Toogood, whose harsh existence is contrasted with that of Henry’s fourth and fifth wives, Anne of Cleves and Katherine Howard. 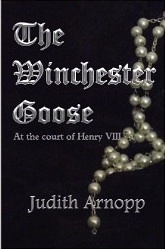 The Winchester Goose is a multi-narrative illustrating Tudor life from several, very different perspectives; a prostitute, a Spy, and a Lady-in-Waiting at the royal court. 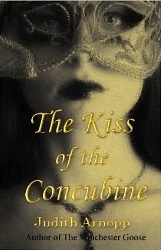 Judith’s next book The Kiss of the Concubine details the life of Anne Boleyn, told in the first person- present tense, the story takes you to the very heart of England’s most talked about queen. 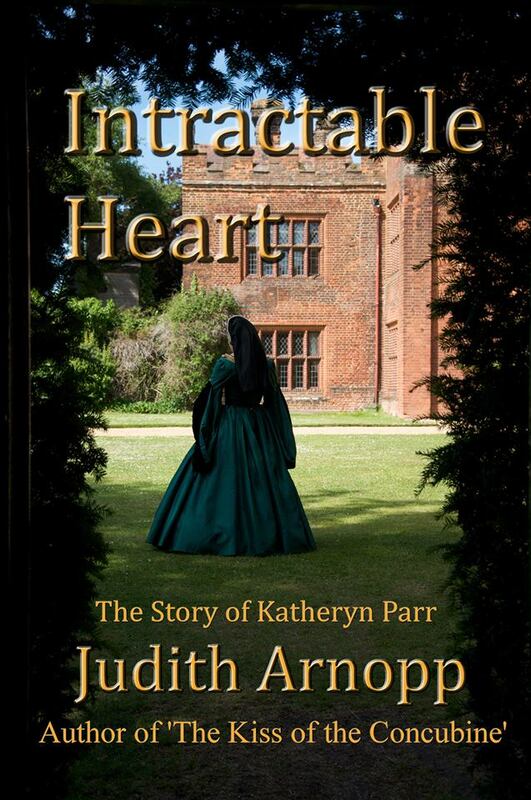 Judith’s latest Tudor novel is Intractable Heart, the tale of Henry VIII’s sixth and last wife, Katherine Parr. Judith also blogs about the Tudor period, both on her own blog-page and on the English Historical Fiction Author’s website. Her work reaches a world-wide audience, and her following is steadily increasing. As a self-published author Judith maintains direct control of her work and avoids the hassle involved with agents and publishers. Self-publishing speeds up the process, but accuracy and attention to detail is paramount. Her small team is made up of three proofreaders, an editor, and a cover designer all of whom work with Judith toward a polished finished product. Being widowed for the second time is very different to before. Last time I was just twenty years old. I had just lost my mother, and the world was a vast and frightening place. I had little liking for my in-laws and so, with little money of my own, I turned to my friends and buried myself away in the north. But this time, I am comfortably left. I have influence. I have powerful friends and the ear of the king’s daughter. I also have the admiration and, I hope, the love of Thomas Seymour. He has been paying me illicit attentions for months now, and I had half expected he was dallying with me and would disappear when my husband John died. But instead, he continues to call regularly, treating me like an ornament that will shatter should he speak too loudly. But although I may appear fragile in my grief, inside I am dancing a jig. For the first time in my life I am independent and can follow my own directives. When Margaret agrees we should join the Lady Mary’s household I am delighted. My life so far has been spent in relative obscurity, far from the delights of court, the gossip and the intrigue. The only time I knew myself to by fully alive was during the siege at Snape, when the danger and conflict made the blood course like a raging river through my veins. But the excitement was short lived and as soon as it was over life returned to its habitual tepid trickle of muddy ennui. I love clothes; I love jewellery; I love to dance, and I have not yet fully enjoyed any of those things. I have kept my inner-self repressed, my thoughts and beliefs hidden. Now, in Lady Mary’s household I can give my personality full rein – although perhaps, since Mary is so vigorously conservative, it will be as well to keep my views on church reform quiet. But, just a few weeks into our engagement at court, Margaret has fallen ill. I tuck her into bed, feel her brow which is cool and dry, and ask delicate questions about her female condition. She has no sign of fever. There is no rash, no pain but she is pale and listless, constantly dissolving into tears for no reason at all. I mix a concoction of chervil and woodruff and wait while she drinks it. She pulls a face and hands me the empty cup. Homer is curled into a tight ball on the bed beside her, her finger tips move gently in his coat. Her tragic white face reminds me of when she was a child at Snape. As I close the door I pretend not to see her composure crumple as she subsides into tears again. I don’t know what to do to help, perhaps weeping will relieve her. Lady Mary will be waiting for me. I skim along the corridor, past the chapel where the choir is practicing, their soaring voices lifting spirits, infusing an ethereal peace throughout the palace. As I hurry through the outer chambers I spy Thomas, send him a fleeting smile as I pass. My heart beats a little faster but I cannot stop. I must wait until later when we have arranged to meet in the gardens. She passes me the book and, still a little breathless from my haste, I begin to read. She lays her head on the back of her chair and closes her eyes. From time to time I look up to ensure she has not fallen asleep. Although she is younger than I by a few years, she appears older. There is a perpetual crease between her eyes, making her seem cross and unapproachable but, in the company of friends, she is amiable and sweet tempered. Poor Mary, she has been through so much, there is little wonder she is so cautious, so serious. Born a princess, for the first few years of her life she enjoyed adulation from everyone but, when the king began to seek a divorce from Catherine, Mary’s life changed forever. Not only was she dispossessed as a princess, she was forced to bear the stigma of illegitimacy. The hand that was once sought by European princes is now spurned. No one is sure where she stands in the line of succession. It is doubtful if even the king himself remembers. When the King and Catherine of Aragon parted Mary was separated from her mother, never saw her again. While Anne Boleyn was queen she was forced to act as an underling to the Princess Elizabeth. Mary being Mary of course, she came to adore her little half-sister and even now the girls keep up a correspondence. It is only since the demise of the last queen, Katherine Howard, that Mary has regained some of her former standing. Until such time as her father remarries she assumes the role of hostess at court, and she does it well. Elizabeth, now also stripped of her title of princess, remains at Hatfield, banished and out of favour with her father. No-one at court knows Elizabeth very well although we are all curious about the offspring of the queen of whom we must not speak. Now that we have covered the customary author formatted interview, let us learn a bit more of Judith Arnopp, the person. So tell us, who was your first celebrity crush? Did you have posters of him all over your bedroom walls? My first crush was Donny Osmond, and he was on my wall for a few years before I discovered Queen and Freddie Mercury. Fred is still my favourite musician, although I’ve taken the posters down now. The picture I’ve had the longest has been on my wall for almost forty years. It is a portrait of Richard III. I first became interested in Richard long before all the recent hype. In the 1970’s he was still widely regarded as a bit of a monster, but he became my teenage hero and is my eldest son’s namesake. Do you have a passion for a particular cause or charity? In my younger days I was a bit of an eco-warrior; but, although I still care very passionately about the environment, I have mellowed in my maturity. During the 70’s and 80’s when I first started to bang on about ‘green’ issues, I was regarded as ‘a bit of a nutter’; however, concern for the environment is more widespread now, and I have become normalized. My family has been vegetarians for years. I try to use organic food wherever possible and bio-degradable packaging, etc., but it is very hard to be perfect, and I often lapse. We grow our own summer fruit and vegetables and to save trees my books are only available as print on demand, and I concentrate most of my marketing on the Kindle. My perfect day is usually spent at the coast (not far from home) walking the West Wales cliff path with my best friend/lover/husband, John. We stroll, have a picnic, watch the birds and the dolphins, and it is just a perfect lazy day, especially if it is sunny. We have been together for thirty odd years, and spending time together is still what we like to do best. Or at least, that is what he tells me. Describe a bit of where you live now (in generalities). What drew you to settle in the area? I am very, very lucky. It was a huge adventure for us when we moved our family from a town just north of London to West Wales about twenty years ago. Our children were growing up, and the world we lived in was fast and becoming a scarey place to raise kids. We came to Wales and have never regretted it for a moment. We have a lovely smallholding with smashing views and perfect peace. The children were able to have as many pets as they could fit in: ponies and dogs and rabbits, chickens and goats. They were also able to roam the countryside safely. They are grown up now, but come home often; for most of the time these days John and I are on our own. In what hobbies or pastimes do you partake? John and I both enjoy gardening, but should really down size to something smaller now. The garden is so large and demanding it doesn’t leave us enough time for walking and sketching, which we also enjoy. My back is beginning to resent the weeding, and I have had to employ a gardener to see to the lawns. The garden is very pretty and green, full of birds and is a lovely place to sit and contemplate my next project. Tell us about the genre in which you have chosen to write. Why were you drawn to it? 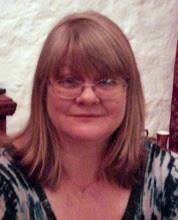 It was natural for me to write historical novels. It was always my chosen reading genre, and after I graduated with an English and Creative Writing degree, I went on to take a Master’s degree in Medieval Studies. Since I had the combined skills of creative writing and history, I just fell naturally into historical fiction. Who are your inspirations? Which authors influence your story choices or literary style? They do say everything you ever read influences you in some way, so I have a great number of authors from which to choose. One of those I love and think have influenced me the most are Geoffrey Chaucer; I love his down-to-earth characters, who are as convincing and funny today as they were in the 14th century. I enjoyed Shakespeare from an early age too. When I was a little girl, my mum used to listen to recordings of Hamlet and Macbeth while she did the ironing, and I must have absorbed it while I was playing. At school Shakespearean language just came naturally, and I did very well at that part of my English A level. I studied him again at university, and the plays were the favourite part of my course. Modern influences are people like Hilary Mantel and Michel Faber; I like literary characters who are so finely drawn one can scarcely tell he is reading. It is as if they are in the room or seem so real one might bump into them in town. I don’t like overdrawn, blousy, unlikely characters. I love Mantel’s Cromwell; I might not agree with every aspect of the character she has imagined, but I can completely believe the quiet, unobtrusive manner in which he deploys his agenda. My favourite has to be Joanie Toogood from The Winchester Goose. She is a prostitute from Southwark, and it is largely through Joanie’s eyes that the reader views the goings on at Henry VIII’s court. She is outspoken, prosaic, but very warm-hearted and funny. I also have a soft spot for Harold Godwinson from Peaceweaver. He is big, brave and, like all of us, flawed. It was horrible to have to kill him off at the Battle of Hastings, I felt I was destroying someone I love. Do you feel your novels have a “message” or a particular theme? Or are your titles purely for entertainment? I try to give women from history a voice. When the chronicles were written women were unimportant, their thoughts and feelings and, in some cases even their bravest actions, were air brushed from the record. I have to be careful not to make them too strong though. I wouldn’t want to have them behave in a manner that doesn’t ring true to the period. I think it is important to be faithful to the time in which one writes. Oh, it is lovely. I am so lucky. I have a large study with a gorgeous view across the garden to the mountain beyond. My desk is big; it has to be to accommodate all my research books. The upper part of two walls are the bookshelves, overflowing with history books, and below there are storage cupboards for office supplies and boxes of first draft material. I am watched as I work by a portrait of Richard III and another of Henry VIII. The fruit bowl is within arm’s reach, as is the phone so I don’t to leave the desk too often. Sometimes I sit here all day, only getting up to fetch coffee and lunch. It isn’t healthy, and I do try to make certain I take a couple of trips around the garden every day, but often I am so engrossed in my work I don’t notice how much time has passed. This entry was posted in book excerpts, British history, Great Britain, Industry News/Publishing, interview, Living in the UK, real life tales, Wales, writing and tagged historical fiction, Intractable Heart, Judith Arnopp, Katheryn Parr, Tudor. Bookmark the permalink. Thanks for joining us today, Judith.